Don't want to be Flipsnack dependent? Download your flipbooks and host them yourself. 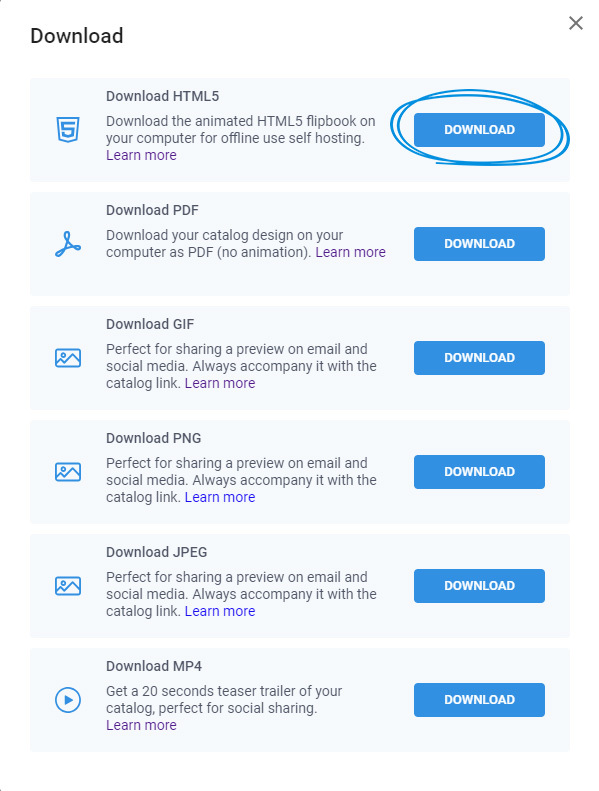 In case you do not want to depend on Flipsnack to host your flipbooks, you can host them yourself. Important: the downloaded flipbooks will remain premium forever, they are not dependent by your current premium status. In order to do that, you must download your flipbooks in HTML5 format first. To do that, go to My Flipbooks page, locate the flipbook you want to download and click on three dots and then on the Download option. 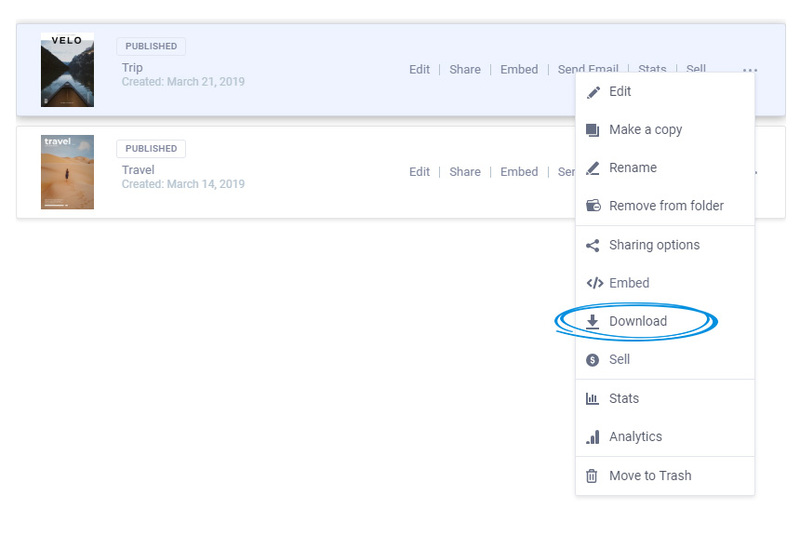 This will open a popup with your download options. Select HTML5. Important: the download HTML5 feature is available starting with the Professional Plan. Once you downloaded the flipbook locally, you can upload it on your own server or website and host it yourself. Some developing skills might be required.